VIEWS! VIEWS! VIEWS! There is not a house/cabin on the market with better views of the spectacular Minaret Range in Southern Yosemite( it looks like you are in the Alps!) than this darling 3 bedroom 2 bath recently remodeled cabin in the Mile High subdivision. Some snow in the winter and cool summers to get out of the Valley heat. 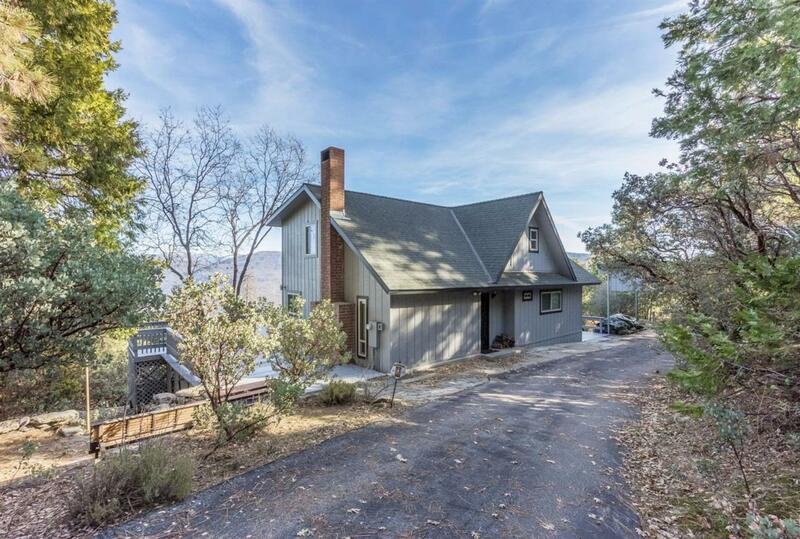 This mountain home has a gated paved driveway and car port. Huge deck for entertaining, family BBQ or waking up with a hot cup of coffee to enjoy the majestic Sierra's. Large family room with flat screen, games and sofa. Nice and roomy kitchen that has all the modern conveniences accented with granite counter tops and plenty of cabinets. The Master bedroom is downstairs with shower/ tub bathroom just across the hall. Two bedrooms are upstairs, (one is currently a game room' but could easily be converted back to a bedroom) plus a full bathroom.. Air conditioning and central heat plus a fireplace for ambiance. Schedule your showing today!